Carnival Cruise Line’s Carnival Sunshine ship is ready to set sail from Charleston, SC, on a fun filled trip to the pink sand beaches and turquoise waters of Bermuda! Experience the unique cultural cocktail of the island set against green hills and pastel-colored homes. Enjoy world-class golfing, go swimming with the dolphins, and find retail bliss and stylish fashions on Hamilton’s Front Street. On board the sunshine, lounge away your time at sea on the biggest Serenity area ever, featuring three decks with plenty of lounge chairs. Spend the day being pampered at the Cloud 9 Spa before enjoying one of the many dining experiences. Meet your Kelly Tours coach for transfer to the Charleston port to join your Carnival Cruise Line “Carnival Sunshine” cruise ship. Enjoy lunch on the ship, then check into your cabin and get ready to set sail! Enjoy a full day at sea. Indulge in wonderful onboard dining, check out the extensive shopping options, hit the casino, pamper yourself at the Spa and take in a show. Awake this morning as we dock at Princess Cay, a private island in the Bahamas with a beautiful sand beach. You’ll have plenty of time to soak up some rays, swim, snorkel or just relax in a hammock. Optional excursions are also available. Another fun day at sea. 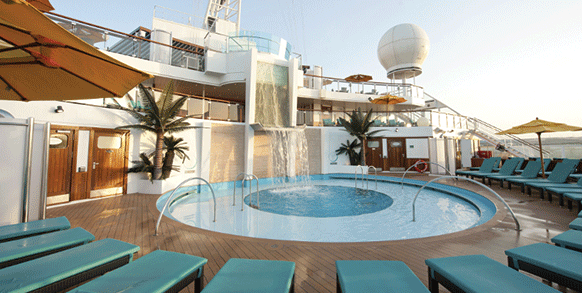 Enjoy the pool, spa, casino and other activities aboard the ship. Don’t forget the Buffet. Today we arrive in Bermuda, Britain’s oldest colony. 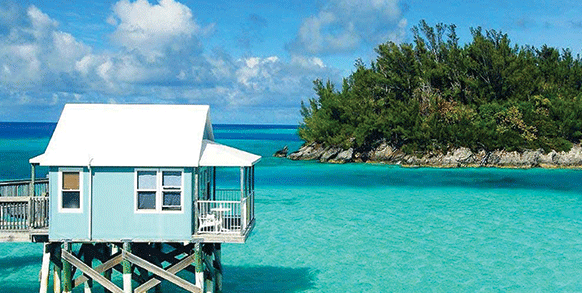 We will stay overnight in Bermuda to allow plenty of time to enjoy the sights and culture. The island has a distinctive blend of British & American culture. 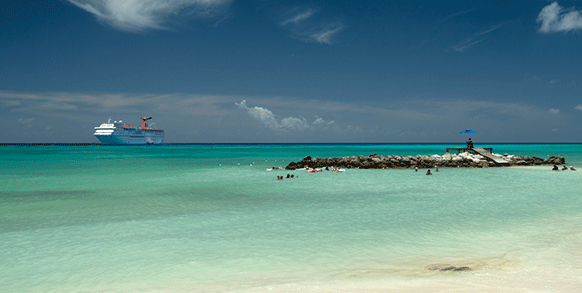 Take in the pink sand beaches of Horseshoe Bay. We’ll spend another exciting day in Bermuda. This is a great day for a visit to the Naval Dockyard complex, which combines attractions like the interactive Dolphin Quest with maritime history at the National Museum of Bermuda. 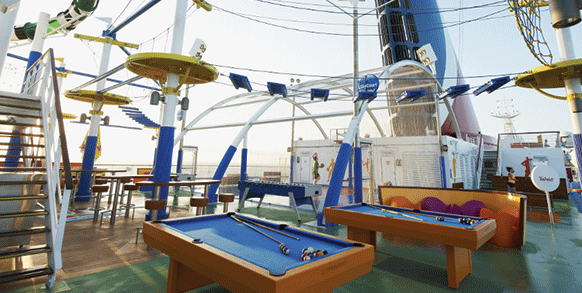 Optional excursions are available through the ship. Another fun day at sea as we make our way back to Charleston. Plenty of time to make many more memories of your wonderful vacation. We arrive back in Charleston at 8:00am and begin the disembarkation process.